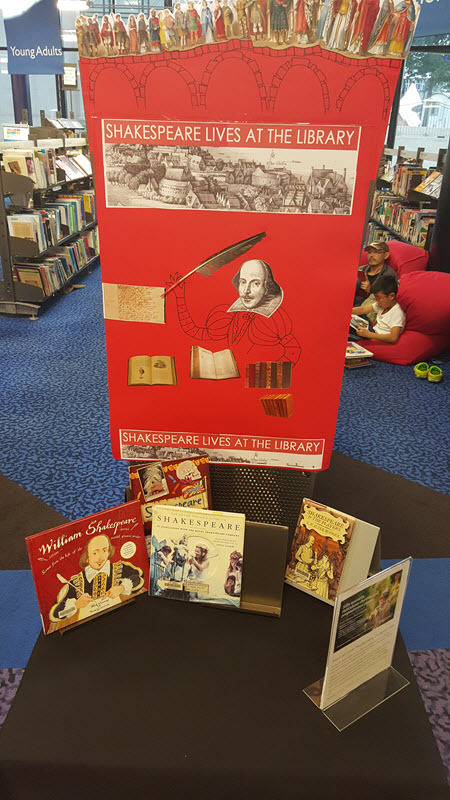 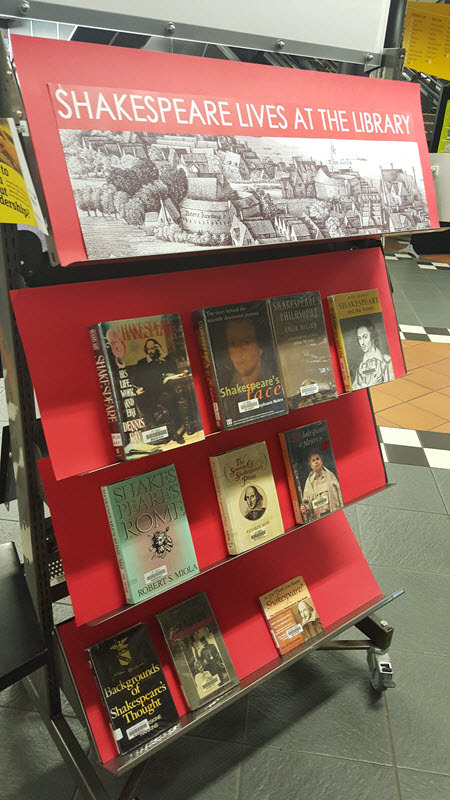 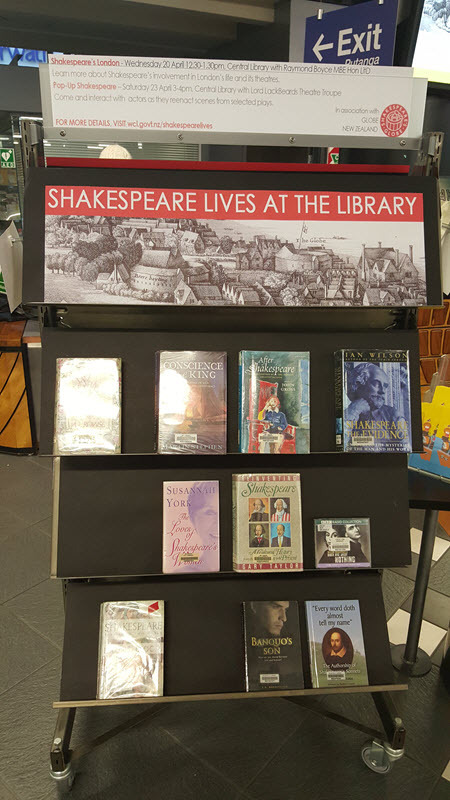 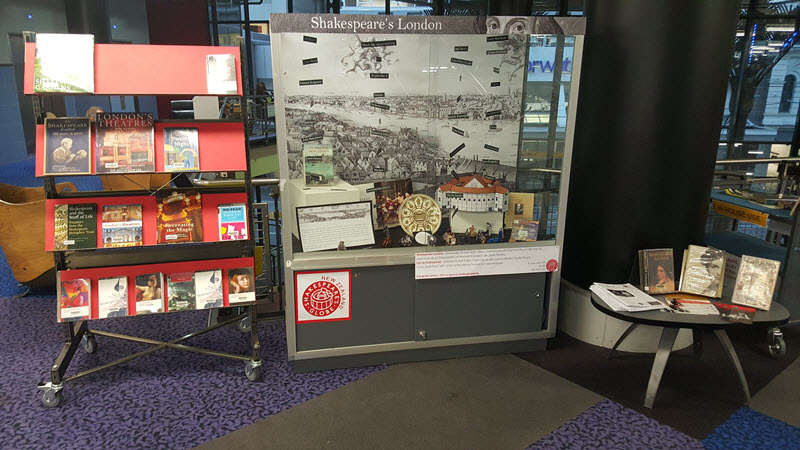 Well it’s Shakespeare’s big day on Saturday 23 April and here at Central Library we have gone in to full Shakespeare mode. 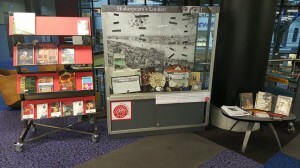 There is no less than three displays, and of course a number of books, DVDs and eLibrary audiobooks and eBooks you can borrow. 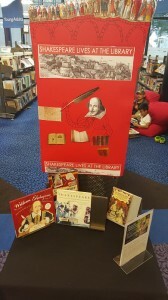 There’s also Shakespeare school holiday events throughout the next week, and Pop-up Shakespeare on Saturday, with actors roaming around the library acting out scenes from some of the plays, and there is still one more Shakespeare themed film night left this month. 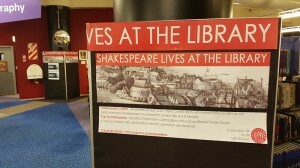 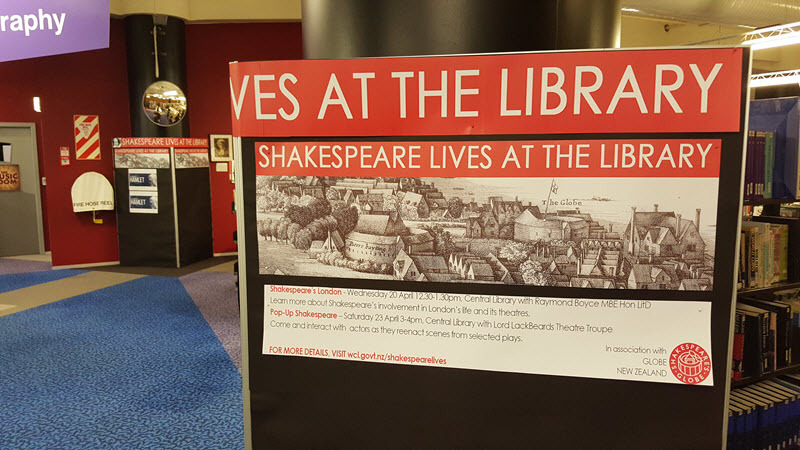 There are more events yet to come so keep a watch on this space www.wcl.govt.nz/shakespearelives. 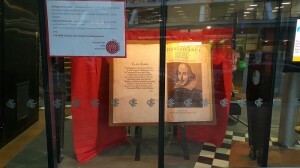 Who knew the books in the 1600’s were this big? Just kidding, it’s not actual size (more like a giant’s copy). 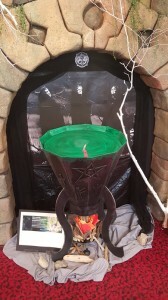 The witches from that Scottish play are brewing up trouble in the Children’s area. 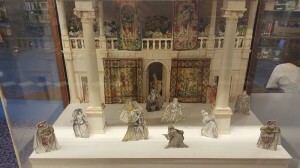 The first floor has a model of the Globe theatre and a section of The Long View. A model of the Globe theatre stage, did you know that New Zealand made the hangings for the reconstructed Globe theatre that opened in 1997? 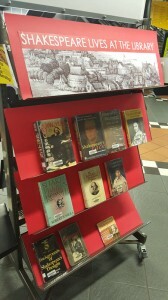 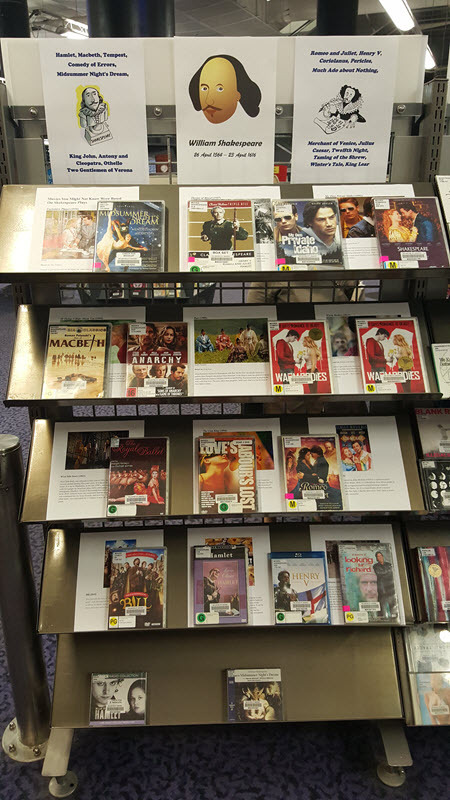 And here is a selection of all the books and DVDs you can borrow.